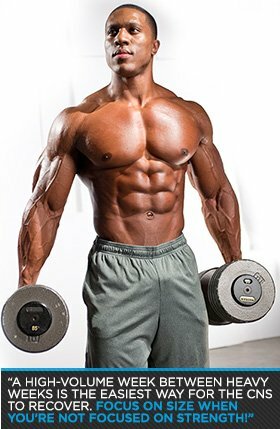 Given that you're on Bodybuilding.com, you aren't interested in getting big or strong; you want to get big and strong! As a beginner, you can tackle both goals simultaneously with most basic barbell programs. As you gain experience and specialize your training, however, one of those goals will typically flag. The answer isn't to use separate programs that sacrifice one capacity for improvement in the other, but to use a smart program designed to improve both goals. I've got just the thing. It's a painfully simple idea: Load up one week and lift big weight, and then get your high-volume pump on the next week to add size. 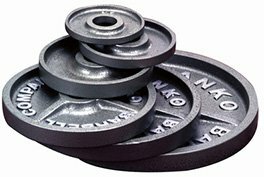 Alternate heavy, intense lifting with high-volume training to build muscle and strength. 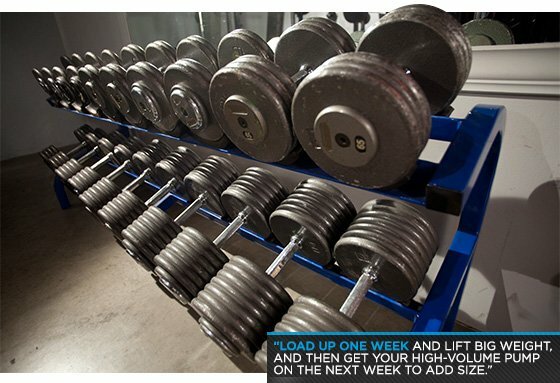 By switching your focus week to week, you can control your program and obtain dual gains. Your central nervous system (CNS) can fatigue rapidly, especially when exposed to heavy lifting. Athletes may be more conditioned to it due to the rigors of their training, but recreational lifters might not fare as well. It's good to limit heavy lifting days and numbers, but heavy "grinder" sets have their place and should appear in every strength-and-size program. For strength, it's important to focus on quality for max lifts. It doesn't make sense to train to failure when the point is to stimulate the nervous system and recruit more muscle. We don't want to kill our nerves and have flat output! The neurotransmitters and CNS get fried during most heavy strength training, which makes recovery important. It could take several days for your body to return to normal depending on how much heavy loading you do. A high-volume week between heavy weeks is the easiest way for the CNS to recover. Focus on size when you're not focused on strength! Choose a major barbell movement for a given muscle group. For example, if you choose back, pick something like the trap bar deadlift, deadlift, or Pendlay row. Perform "ramping sets" by starting with a relatively light weight and going heavier on each set until you reach your "working sets." Go with 5 sets of 5 reps or 8 sets of 3 reps. Finish your final working set with a "burnout set" at 60 percent of your heaviest load for as many reps as possible. The goal is to encourage more hormone release. Then choose 2-3 large movements like T-bar rows, seated rows, pull-ups, inverted rows, or single-arm dumbbell rows, and perform 4 sets of 8-12 reps for each. Your leg day, for example, could follow German volume training for 10 sets of 10 reps, or you could try one of my personal favorites, ladder sets. Ladder sets involve multiple rep schemes with short intra-set rest periods. Watch them kill me in the video below. The above ideas should show you how to structure the overall system. It's important to note that this program structure won't render the absolute greatest results for strength or size, but it will ensure that you don't lose your capacity for either. It will help you get and stay big, and allow you to keep heavy lifts in your routine. If you want to kill two birds with one stone, this is a sure-fire way to blast your muscles for maximum strength and size!